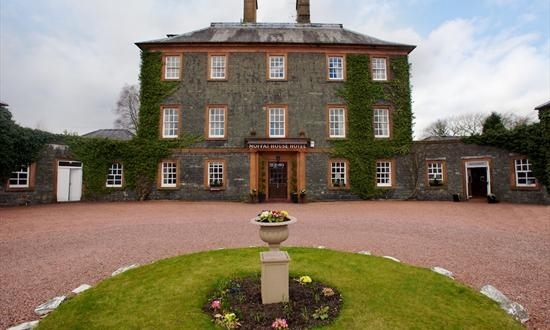 Enjoy a relaxing break in the stunning country mansion, the Best Western Moffat House Hotel, situated in the charming Victorian spa town of Moffat. Built for the Earl of Hopetoun in the 1750s, the property is a smaller replica of the famous Hopetoun House in Edinburgh. Following careful renovation, the hotel now offers the perfect combination of traditional charm and elegance with modern facilities, and guests will marvel at such features as the old sandstone pillars and beautiful cantilevered staircase. The hotel has 20 bedrooms, all en suite, and each tastefully decorated with its own style and character, and you can choose from superb four-poster and king-size bedrooms, family rooms and specially-adapted ground floor disabled rooms. 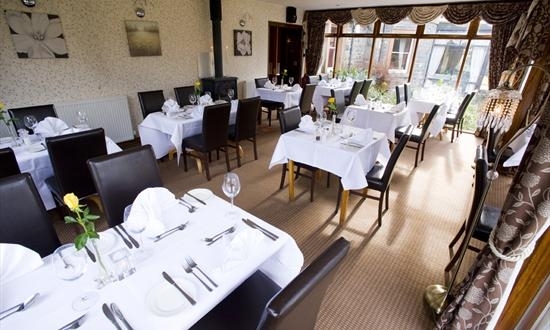 During your stay here, you can enjoy the fresh local produce of the region with a choice between formal dining in Hopetoun's Restaurant or informal lounge meals, lunches and suppers. Retire to the library bar after your meal for a great selection of malt whisky and beer - the perfect way to round off an excellent evening. Take a walk round the hotel and grounds to discover tranquil gardens or sit out in the sun at the coffee or sun lounge and gaze out across the gardens with its 250-year-old oak tree. Explore your surroundings and discover why Moffat was previously voted 'The Best Kept Village in Scotland' with the Old Station Yard and its beautiful gardens, boating pond and putting green. Stroll through the village and make a stop at the charming local shops and eateries, or take the opportunity to play a round of golf on the Moffat Golf Course, referred to as 'The Jewel in the South' and a challenge to golfers of all abilities.